So it's now less than a month till this Autumn's biggest and best HR show - HR Tech Europe. HR is the new cool ... Fusion happens when and where HR & Technology engage with each other ... and HR Tech Europe 2012 is the ONLY event in Europe with a speaker & agenda line up focused on the current and future challenges of Corporate HR. The Speakers will discuss a set of tangible recommendations that have been suggested through detailed conversations with business leaders and members of the Pan European HR Network! With close to 600 people already attending you won’t have to walk alone at HR Tech Europe! As the MC of the conference, I can also offer you a 200 Euro discount if you use the code JIHRTEU12 when you book. This afternoon I’m at an update meeting of the engagement ‘gurus’ supporting the UK’s Engaging for Success taskforce. The session is being led by Bob Hughes and Katie Truss. In giving us an update on the taskforce and a meeting earlier this week, David MacLeod has kicked off by introducing Engaging for Success as ‘our movement’ – but we still only got the speaker’s introductions, rather than all the other gurus in the room. I think the picture above falls into the same trap, suggesting that the guru group’s role is communicating the vision, rather than being involved in developing this. It all models communication and engagement from the old world rather than the new world which I think David & Co want to create (I know I do). Engagement comes from involvement, and I think this group needs to role model what it is promulgating. Engagement comes from allowing people to make criticism too, so I hope nobody takes too unkindly from me saying this! David also introduced the group’s website and a new cheesy (sorry) video which will be launched soon. Katie Truss talked about her sub-group – they’ve written a whitepaper on job design and engagement which will be available on the E4S website and I will blog about here (also see this post). There’s also going to be a conference on 17 December addressing how academics and practitioners can work together better. Dilys Robinson is starting up a sub-group looking at the future of engagement (the membership is me and her at the moment). Nigel Girling has a group on engaging leadership. Doug Crawford is running a group pulling in new thinking from related fields eg neuroscience, behavioural psychology etc . Sharon Derwent from BT updated us on the practitioner core team and the events they’ve been running. Tanith Dodge from M&S talked about the work her sub-group have been doing pulling together all of the evidence on the effect of engagement, aimed at convincing the non-believers. The issue is that most people understand this intuitively but only about 7% examine the financial impact (I’d argue that there are good reasons for this). So they’ve been doing their own research involving about 100 organisations as well as Hay, Gallup, the CIPD etc, comparing engagement scores to customer and financial results. There’s some good stuff in it apparently though they did struggle to tie engagement to innovation or health & safety. Again the report will be available in November, and I’m sure I’ll post on this too. The launch of this will be taking place at No 10? on 12th November and this will be followed up by an event at the QE11 conference centre on 26th November. So there clearly has been a huge amount of progress and it sounds as if November is going to be quite exciting! OK, I’m back – we’ve been having some discussions about what the guru groups can do to support Go Live. Conversations around tables.. lots of engagement and ideas… shame we didn’t start like this. And we’re now onto some more inputs – David MacLeod on what’s going to happen beyond November. This is going to include formation as a charity, a programme board, some rotating trustees, and a paid director funded by 15 organisations (they have 12 so there are still 3 places if you’ve got an extra £15k sloshing around). And more conversation – and this to me was the most interesting part of the afternoon. We’ve been talking about what we, the gurus, can do to support practitioners. Our little group got into a conversation about this really being down to practitioners rather than us – the offer of support is on the table, but they need to tell us what they need. What’s stopping this? – that they don’t want to be sold to (hence David reinforcing the code of conduct we’ve all signed up to). We also made the suggestion that we should perhaps be more vocal in the Linkedin group than we are. And I thought this was a good point too – we’re potentially seen as gurus because of our insights and ideas. So the most valuable thing I think we can do for the movement is to contribute these, and try to help close the gap between research and practice; academics, consultants and practitioners. But then this is never really going to be overcome until we get past the selling thing. To me, this is what we need to focus on, especially because the fear of being sold to can be overcome. My best example of this is ConnectingHR! In fact, in less than a month’s time, we’ll have our seventh tweet-up which will consist of a good mix of practitioners and consultants, hopefully with a few academics and journalists thrown in. It’ll be a hugely engaging event where absolutely no selling will take place (or at least it never has). I hope some of the other gurus, and particularly the practitioners, may like to come along. More details here: http://chrtu.eventbrite.com. Oh, by the way, I think that getting beyond the evident distrust between practitioners and gurus (or we’d just have the one group, wouldn’t we) is part of creating the new world of engagement too. Despite the comment, I do agree that integration of HR and Marketing, and in fact broader alignment of everything we do for employees and everything we do for customers is one of the most important points of integration to get right. In terms of aligning employees and customers, the focus is very often on the role of Internal Communication. Do we see the IC function being part of HR or Corporate Comms? And more importantly, are IC messages shaped to support HR needs or to cascade from external customer and stakeholder communications? And how do we inject enough alignment so that there’s no difference between these questions and that where IC sits in the organisation doesn’t matter any more? I think these are key questions and am surprised they aren’t asked more often than they are. I know business leaders, line managers and employees are taking more responsibility for both HR and IC, but this doesn’t stop there needing to be a clear ‘home’. - Any of these topics could find its way into a good core HR conference too. Of course, none of this means that HR isn’t interested in IC at all. Many of us see IC as an integral part of HR and many HR functions do include responsibility for IC. Many IC professions understand that alignment with HR is critical to their own effectiveness. I just think we could do a lot better than we currently do. “The question of who has control over internal comms can be problematic for firms, as there is more than one natural home for the discipline. HR directors, as guardians of the staff within the firm, have a compelling case with which to lay claim to internal comms, but corporate communications or the PR department can have an equally strong case to take ownership. For organisations with both an HR and a PR department, the load is often shared between the two. ‘Corporate communications are professional specialists,’ points out David Gillies, HR director at electricity and gas market regulator, Ofgem. ‘But if you look at the messaging from HR, it can often be quite formal and sensitive stuff that is being communicated.’ The obvious answer is for both departments to work together, with an understanding of each other's strengths and areas of expertise. This means harnessing the creative expertise of the communications department when it comes to deciding through which method to communicate. There’s got to be a better way of sharing(!) and I may come back to this again around the dates of the summit. In the meantime, however, if you are interested in the link between HR and IC, or simply in bringing IC more effectively into the broader HR agenda, then I’d suggest you might like to come along to the summit, and it’d be great to link up there. If you don’t manage to attend then I’d encourage you to keep following this blog and in particular drop in on the 10th and 11th October as I’ll be posting from several sessions during the two days! “Businesses are facing intensifying pressure from investors and stakeholders to ramp up their diversity initiatives. Ensuring there is inclusion at every level of your organisation is not just a good thing to do. several studies show that companies with a greater degree of diversity at every level perform better than their less diverse counterparts. So my mate Dave will be out in Singapore by now for the Human Capital Summit taking place there today and tomorrow. I attended the Summit last year but couldn’t make it this time around. I will be trying to follow virtually but I don’t expect it to be that easy if the level of blogging and tweeting is anything like it was last year (ie very low). If I do manage to follow along, there’ll be two particular topics I’ll be particularly interested in. The first of these is ‘developing a culture of innovation in Asia’ which includes an input from the CIPD’s Peter Cheese (the good news is there’s no sign of Bridge (spit!) on the agenda). It’ll be interesting if there is more evidence of radical Asian innovation than there was last year. Secondly, I’ll be interested in the broader agenda of uniquely Asian leadership styles – which also got addressed last year but I thought could have been developed more deeply. I agree leadership does need to look different there than here (and every other place as well). But then there are a lot of different factors which influence leadership style and geography is only one of these. So for example I still believe, as I explained last year, that my own management style probably fits with an Asian perspective better than it does an Anglo Saxon one. All the things on the right resonate for me more strongly than those things on the left (you’ll even find posts on quite a lot of them). Stereotypes can be useful but we shouldn’t forget that they are only that. Yawn! – stretch – well, I’m still slowly waking up after another great evening at Claridges organised by HR Magazine for the unveiling of this year’s list of Most Influentials. And it was a really great night. In some ways, I had even more fun than at last year’s event as I didn’t have the worry about whether I’d be included in the listings or not - HR Magazine have changed the criteria they’re using to choose their Most Influentials to limit this to university based academics. Let me deal with this first as I do think this limitation is a bit daft. HR practitioners aren’t the most avid consumers of academic research. Even I hadn’t ever heard of most of the academics on the lists – including Patrick Flood at Dublin - #3 international HR thinker, and David Denyer at Cranfield - #1 UK HR thinker! - what? I’ve nothing against David (how could I have when I’ve never heard of him) but I’m pretty sure that if I’ve never come across him, then you won’t have done either. So that’s got to limit his influence don’t you think? I also think the split between university based academics and non-university based consultants is a bit petty. A lot of university professors do more consulting than I do and I bet that I do more training than most of them do lecturing. OK, they may do more research, but I do some of this too. I sometimes call myself an ‘independent academic’ as this seems to nicely summarise a lot of the work that I do. 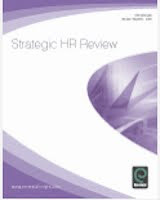 Who’s to say I don’t have just as much informed influence on HR as someone from Ashridge or Cranfield etc? I won’t go on about influence being increasingly based in social media. Partly because this is pretty self evident (as you’re reading this) and partly because I’ve been there quite a few times before. I am surprised, however, that the two types of influence haven’t yet started coming together more. There were a few more people tweeting last night than 12 months before, but they were mostly just doing this to congratulate the top influentials. And David Denyer is on Twitter too, but with just 20 or so followers, I don’t think this is how his influence has spread. I will just note that I was pleased to received a lot of unexpected praise on my blogging activities. But I was also criticised for not being sufficiently challenging / opinionated / unguarded. I still don’t know if that’s my thing so I’m not going to refer to any of the HR Directors’ affairs that were the focus of a lot of the conversation last night. Other than to say that there seem to be an awful lot of them. I was especially pleased to get some good feedback from the one academic very few people would argue with being seen as a most influential (now with a lifetime achievement award): Dave Ulrich. I really wanted to chat to Dave firstly to check that he has been reading my posts (at least those mentioning him), which he has. And secondly to check that I’ve not crossed any red lines in my criticism of him. I didn’t think I had, and I do try to ensure that I only ever criticise ideas, not people - though I have probably strayed away from this ideal on occasion - with Ulrich and other academics too (especially John Boudreau; Peter Cappelli and probably Lynda “My book’s number one in Japan” Gratton too). Whoops, just did it again! Anyway, Dave did seem happy enough with my criticism, and also with the other content you’ll find on here, commenting that whereas many academics have actionable ideas but no influence I have the opposite of that, or something - actually I’m sure he said something even more positive than this, but despite my rather drunken pleas and offers of more champagne etc, my witnesses to the remark were unable to remember any more of what had been said than me. Sorry but I’m not really sure what the point of this post is, but it is what it is. Before I finish with it, I’d also like to note that I don’t think it’s all the academics’ fault that they’re not better known. Yes, most of them could learn good lessons from Dave Ulrich about how to engage with the HR practitioner community. But HR professionals should be better read than most of you are! (Well done for reading my blog though!). 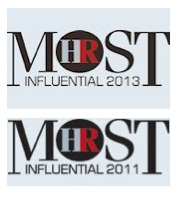 The media shares some responsibility for this too – so I suppose I should say ‘well done’ to HR Magazine for finding a way of giving the most influential1 HR professors more exposure. Also, despite all the comments I’ve made above, and even more so my more unguarded ones last night, I do think HR Magazine have come up with a really useful and I’m sure very valid list. I also need to reflect on my own role as part of the HR media and probably need to accept that I have fallen behind with my academic reading - so I resolve to improve on that starting this week. And if any of the most influential HR thinkers want to talk to me about their key academic insights, I’ll commit to helping them spread their ideas by sharing these with you here. For example, from talking to Patrick Flood, his key thing is research showing that HR does impact financial results, but does so though long, complex and difficult to disentangle chains of cause and effect. And the impact isn’t that high, eg compared to things which are closer to the bottom line like quality of customer service etc. So there you go – now you know! Finally, thanks to Sian Harrington and HR Magazine for the invite to the event – particularly as I wasn’t up for anything. And to Tim Pointer for the photos – much appreciated! See you all next year? So people join organisations, and leave Top Leaders! So its finally official – people join organisations, and leave… top leaders (you probably read it here first). It’s great that Gallup’s well known line (‘people join organisations but leave their line managers’) has finally been over-turned. And it’s obvious really. I participated in a Twitter exchange following the CIPD’s report – along the lines of who is the biggest problem – rubbish leaders, managers, HRDs or organisations? But thinking it through, I would go for the leaders – as they have so much influence over the approach their line managers take. I still worry about how easily this piece of garbage has caught on however… and why it is that HR is so easily influenced by marketing organisations like Gallup, and so little by academic research (or just insightful bloggers). I've previously provided a quick reaction to Ulrich's newest competencies and will probably provide more commentary on them from the Middle East HR Summit where I see him next. My biggest worry with each new iteration of this framework is that things can't really change this quickly, eg with HR technology being important in 2004, dropping off the list in 2007 and coming back in again as technology proponent in 2012. It's enough to make your head spin. But then I look at each new framework and the competencies do always seem to resonate with what I'm seeing developing within HR. So perhaps the issue isn't the amount of change, but what this means about how you might use the frameworks. And basically, you can't. Ie by the time you're read the books / seen Ulrich speak or invited him / me to come in and consult for you, tailored the competency framework for your own organisation, and then created and put in place a development programme for your HR practitioners things will have already moved on. You can still use these competencies as a guide of course, which is why I maintain my interest in them. But you also need to develop the framework further based upon your insight (probably intuition rather than analytics) about which way HR is going to be developing in the future. It's why I'm not afraid to challenge the competencies regardless of all the research they're based upon. All of that comes from yesterday - I'm focused on tomorrow. To me, there's a natural order to the competencies which doesn't come through from Ulrich's recent book (HR from the Outside In - Global HR Competencies doesn't come out for another couple of months). And the good thing is that whether you see HR working outside-in or inside-out (not like that), the competencies don't change. Capability Builder. Once you've identified your strategic position, by selecting key organisational capabilities, you can then develop - or build - these capabilities. So this competency is about putting your strategic plan into place - through people, culture and the organisation design. Change Champion. Which is of course going to require some change management, so this competency remains. Innovator and Integrator. More importantly, if the focus of your HR design is organisational capabilities, you're almost certainly going to develop an HR architecture which is different to other organisations, not the same. It's going to take you away from best practice to best fit. So you need to be able to innovate, develop and combine HR processes and practices to manage people in substantially new ways. Technology Proponent. Technology is becoming a more important enabler for effective and especially innovated and integrated HR - so this competency absolutely deserves to be here too. See my recent post on HRTechEurope's blog (and come along and see me chair the HR Technology Europe conference too). Credible Activist - HR with added oomph. The activist bit is probably a bit redundant if all the rest has been done, though there's still the need to have the original insight that leads to the choice of strategic positioning. And the credible bit is still key. The above suggests a very different way of managing organisations, and you're not going to get it discussed if you've not already got rapport. But rapport's only useful if you do something with it - match the business, then lead. I'm missing Dave Ulrich in London next week, and also at the Singapore Human Capital Summit I blogged at last year. But it's not long till I catch up with him at the Middle East HR Summit in Dubai, and I have also been reading his latest book: HR from the Outside In, providing more detail on his newest HR competency framework. I'm going to be posting on the framework again shortly, but I can't let this Outside In thing go unremarked on (again - since I have remarked in it before). I just don't see why Ulrich has got so hooked on this. OK, customer centricity is all the rage these days, but the talent centricity has never been getting so much attention either. And it's this which needs to be the future of HR for me. Plus I just don't think Ulrich's analysis works. He suggests we should do placements, promotion, training, rewards, performance management, leadership, communication and culture development all from an outside in perspective, so selecting the employees our customers would want, involving customers in providing training etc. Fine, as far as it goes - but the best innovations don't come from customers. The opportunity for an organisation is to understand customer needs, and then to interpret them - to build, extend or challenge them. If you simply define your business by what your customers want, you'll never do any better than your smart competitors (because they'll be doing just the same as you). It's the spin you put on your customers' needs which is important, not just the needs themselves. But the best illustration of why HR's approach should be Inside Out comes from the book's case studies. BAE Systems, MOL Group, Singapore Housing Development Board and Novartis - they're all great case studies, but the source of energy for each one was internal - not external at all. 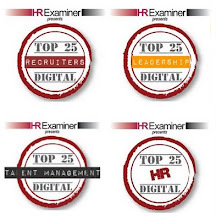 Ie the HR teams in these organisations took account of the external environment but what makes them good case studies is the insightful, unique strategy developed by the organisation. None of them would have been helped by input from an average customer. I can only think the cases were consultancy projects done by some of Ulrich's team at RBL and he hasn't read them properly! Anyway, apart from all this, I think it's a good book, and will undoubtedly set the tone for HR's development over the next few years. So I'm going to come back to it again soon. Writing about integrated talent / human capital management last week reminded me that I still(!) haven’t finished my review of the Executive Guide to Integrated Talent Management (featuring me, Dave Ulrich, Peter Cappelli etc). We’re now on to succession planning with two chapters from Marshall Goldsmith and then Rob Reindl at Edwards Lifesciences. Marshall first, writing, not surprisingly, about CEO succession. 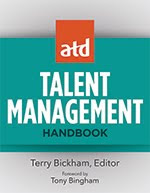 And on this topic it’s a decent chapter, but as a contribution to the book and the topic of integrated talent management it’s pretty week as there’s actually nothing here about the need for integration. “After a couple of years of successful performance, the controller was identified as a successor to the CFO, to be ready in three to five years. His development needs to prepare to become CFO at that time included experience with treasury, risk management, tax matters, and working with the outside investor community. During the next five years, Edwards incrementally added staff responsibility for the treasury, risk management, and taxes who reported directly to the controller, who thus began to take on these responsibilities on a developmental basis…. No doubt it took some finessing with some of the functional leaders who were told that they no longer reported to the CDO but were now going to report to the controller, but such tough calls need to be made, especially when you are preparing someone for a role like the CFO job. 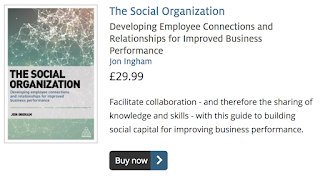 Isn’t that a great case study, and a lovely example of creating value – structuring the whole organisation around the key people, rather than simply the other way around. The key then is to know your key roles, and, as Reindl describes, your development jobs – though I do think it will present problems for most organisations perhaps less focused on people than Edwards Lifesciences if the CHRO position is always seen as one of these jobs!